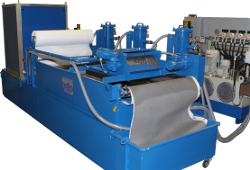 The brands August Nell jr. and Werner Peters of the Berger Gruppe offer machines and lines for the processing of steel strips. 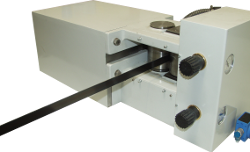 Key application for the steel strip grinding station BSM1500/TTGB-CNC is grinding of razor blade edges with a convex profile (gothic arch). 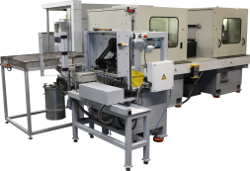 The brands August Nell jr. and Werner Peters of the Berger Gruppe offer diverse magazine systems for different applications. 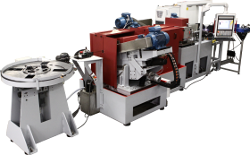 Different kind of dressing systems for steel strip grinding machines are part of the product range of the Berger Gruppe. 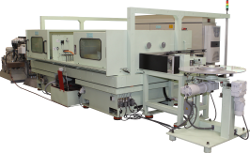 Measurement technology to measure grinding width, grinding height and grinding profiles of strips. 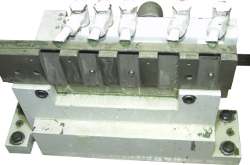 Guideways for steel strip grinding machines are designed for two different strips heights as a standard and can be adjusted flexibly. 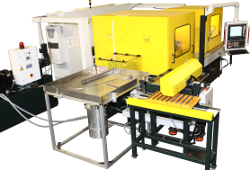 August Nell jr. and Werner Peters offer strip welding machines which can be integrated into a grinding and polishing line. 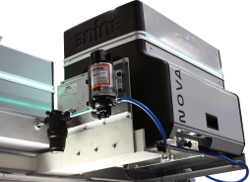 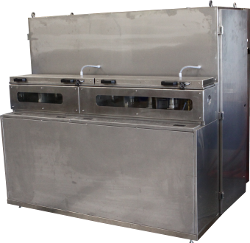 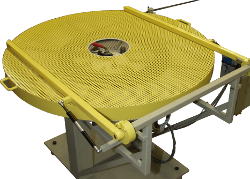 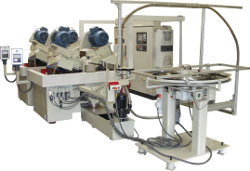 Cleaning systems can be connected to steel strip grinding and polishing stations to clean steel strips. 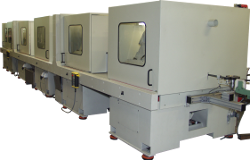 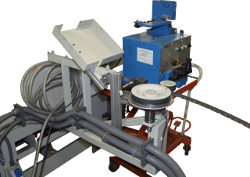 A coil transport can be integrated into a August Nell jr. or a Werner Peters grinding and polishing line. 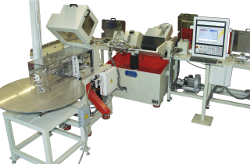 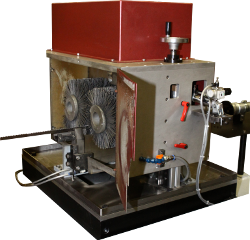 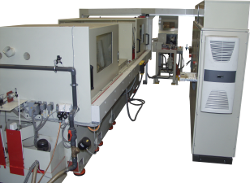 An exhausting device can be integrated into steel strip grinding machines to aspirate lubricant mists.